Located in North Carolina on the banks of beautiful Lake Norman, our RV park in Sherrills Ford, NC, offers (11) fully furnished one and two bedroom tiny home cabins, a lakefront cabin, as well as, (60) full hookup 20/30/50 amp RV sites for commercially manufactured Class A, B, and C motorhomes, 5th wheel, and travel trailers. All of our accommodations and RV sites are made available for rent on a daily, weekly, monthly or seasonal basis. 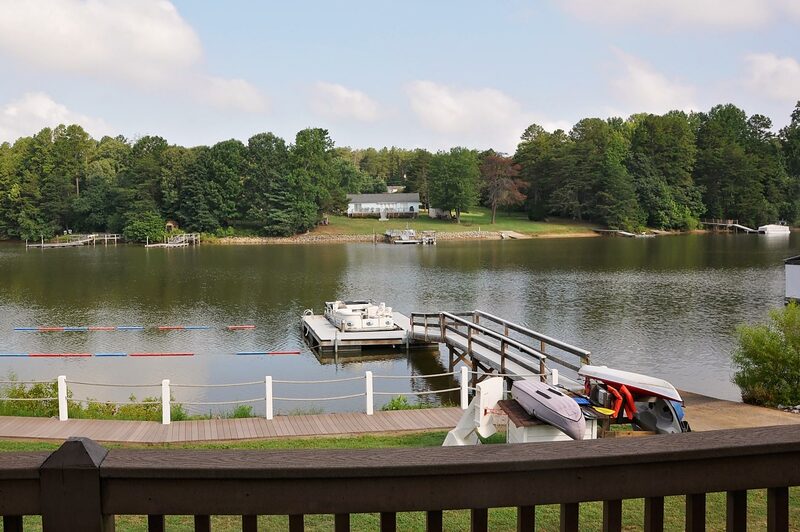 Lake Norman is an aquatic playground and our guests are able to enjoy the full extent of its offerings including boating, fishing and water-skiing. The lake is pristine and the local wildlife and environment will excite even the most seasoned traveler. Things to do nearby include: shopping at Birkdale Village or Davidson Farmer's Market, take the family to visit the Carolina Raptor Center or Discovery Place Kids. Enjoy the booming North Carolina craft beer and wine scene, or visit nearby attractions like the Charlotte Motor Speedway, the NASCAR Hall of Fame, Bank of America Stadium home of the Carolina Panthers, Spectrum Center home of the Charlotte Hornets, and Carowinds Amusement Park, plus so much more! Call to get up-to-date availability: (877) 489-6033 or book below. Tiny homes have been added to our Lake Norman resort! Experience the tiny home movement in one of our fully furnished, wonderfully comfortable, 399 sq. ft. rental units. Our (11) wonderfully-appointed tiny home cabins sleep up to six guests and include: a full bathroom and kitchen with full-sized appliances. Come enjoy our first-rate accommodations and amenities. Perfect for RV enthusiasts or those who prefer a lake view tiny home cabin or lakefront cabin rental. We're just 40 minutes north of Charlotte on the largest man-made lake in the Carolinas! Bring your boat or rent one from us! Come enjoy the lake. Your next adventure begins at Lake Norman Motor Coach Resort. Call to get up-to-date availability or review our tiny home reservation options.